Glacann Rang 5 agus Rang 6 páirt sa chomórtas tráth na gceist a n-eagraíonn Leabharlann Leamhcán gach bliain. Bíonn comórtas inmheánach againn agus piocaimid dhá fhoireann de cheathrar ó na buaiteoirí. Glacann an dá fhoireann páirt sa chomórtas áitiúla i gcoinne bunscoileanna eile ón ceantar. I 2017 d’éirigh le foireann amháin dul ar aghaidh go dtí craobh an chontae agus críochnaigh siad sa séú háit. Rang 5 and Rang 6 participate in the table quiz competition that Lucan Library organises each year. 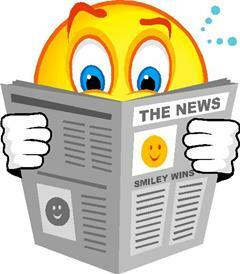 We have an in-house competition and pick two teams of four from the winners. Both teams take part in the local competition against other primary schools from Lucan. In 2017 one of our teams succeeded in getting through to the country final where they finished in sixth place. Urraíonn Easons comórtas Spelling Bee gach bliain. Is iad na páistí ó Rang 5 agus Rang 6 a ghlacann páirt. Bíonn comórtas i ngach rang agus téann na buaiteoirí i gcoinne a chéile chun seaimpín na scoile a aimsiú. Téann an buaiteoir ar aghaidh go dtí craobh Baile Átha Cliath. I 2017 d’éirigh leis ár seaimpín an cúigiú háit a bhaint amach. 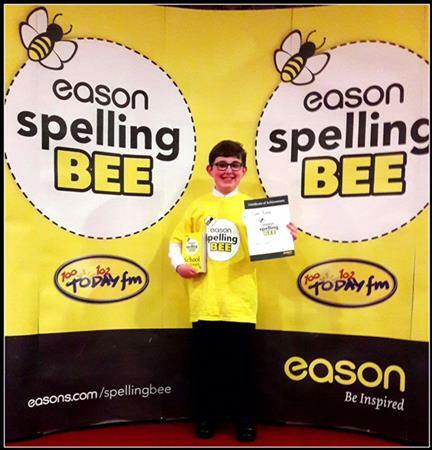 Easons organise a Spelling Bee competition each year for children from Rang 5 and Rang 6. Each class has a competition and the winners compete for the title of school champion. The school champion participates in the Dublin final. In 2017 our school champion finished in fifth place.